Looking for an LOAOL Waterproof Memory Foam Dog Couch review to find out if it’s right for your dog? Today, we’ll go over all the features as well as the pros and cons of this budget-friendly dog bed. I’ll also go over some things to consider before buying it! Before we get started, I like to make sure we’re on the same page and looking at the same dog bed. 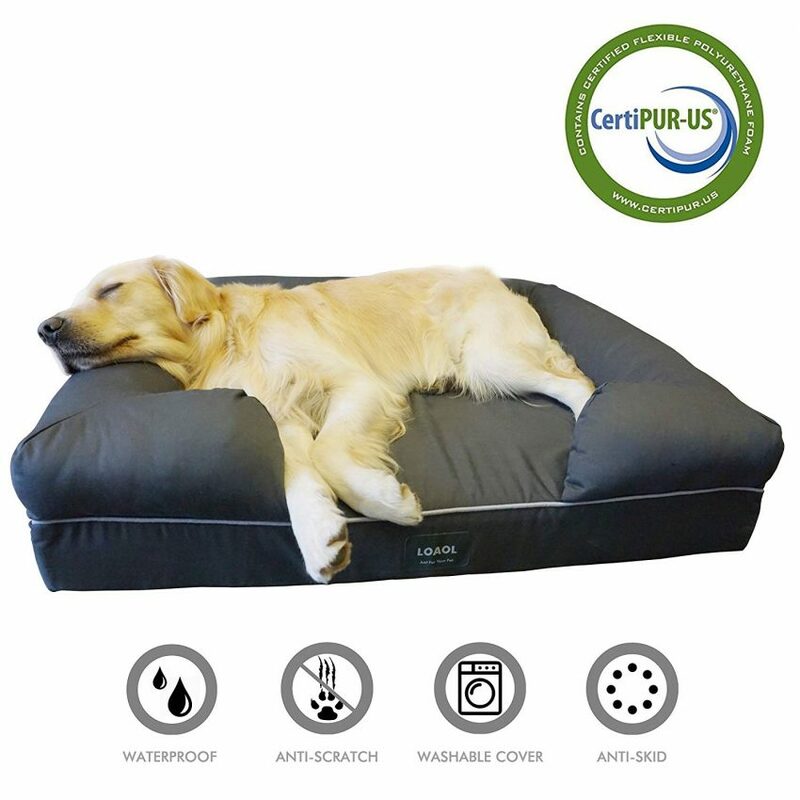 You can find the LOAOL Waterproof Memory Foam Dog Couch here on Amazon. 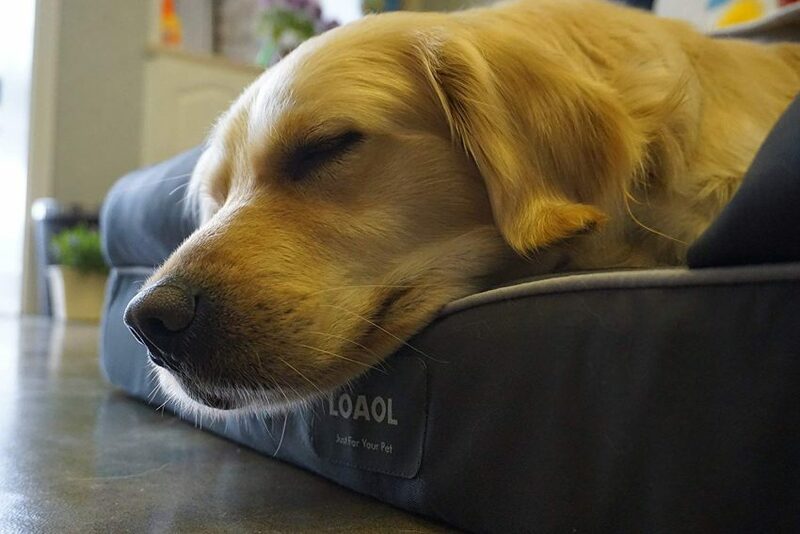 The full name of the bed on Amazon is: LOAOL 4″ Durable Waterproof Memory Foam Pet Bed Mattress Orthopedic Dog Sofa Couch with Changeable Cover. That’s a bit of a mouthful, right? So, let’s just call it the LOAOL dog bed, shall we? Okay, now that we’ve gotten that out of the way, let’s talk features! As usual, we’ll go over the features in more detail when we get to the pros and cons, so for now, here’s a quick overview. Let’s start with sizes. Large 28x36x9″ Medium-sized dogs (the picture is a bit misleading, stick with Beagles and such). XL 34x39x10″ The smaller end of the large breeds (NOT giant breeds). When it comes to dog beds, there are no product-standard sizes, so one brand’s medium is another brand’s small, which is the case here. Think of those sizes more as S,M, and L.
We will talk more about that in a few minutes down in the pros and cons, though. Made with human-grade “temperature insensitive memory foam,” meaning it doesn’t make your dog hot. Easy to clean with the removable, machine-washable cover. Now that we have a general idea of the bed, let’s look at the pros and cons. One of the most important features of a memory foam bed is, of course, the foam itself! LOAOL uses human-grade memory foam. To be honest, pretty much every dog bed uses “human-grade” foam, so this isn’t a unique feature. The “Temperature Insensitive” part means that it doesn’t get hard in cold weather or sink in when it’s hot. It also helps to keep your dog from overheating. Since the foam is high-density, it won’t sink under your dog’s weight. It’s hard to find covers that are truly waterproof AND chew proof. Most brands use words like “resistant,” so the fact that LOAOL is comfortable enough to use “proof” says a lot. The inner liner is what makes it waterproof, while the outer cover is durable enough to resist your dog’s teeth. Now, keep in mind that very tenacious and aggressive chewers COULD still chew through the cover. Unless it’s made of concrete, nothing is 100% chew-proof. Still, for the most part, it’s hard for the average dog to destroy it. As for the waterproof liner, there is a downside to that, which we’ll see below in the cons. As far as cost goes, I’d have to put the relatively budget-friendly price in the “pros” section, since even the largest size is just over $100. That puts it right in the mid-range, as I’ve seen a couple of high-quality “cheaper” dog beds, but for the most part all of my favorites top out in the $300+ range. I also look at ratings versus price. While this isn’t the highest-rated bed on Amazon, the overall reviews are good compared to the price tag. So, here’s the thing about the “waterproofness” of the bed: it seems to only protect the memory foam part itself. I’ve read customer complaints that say urine goes right through the cover and onto the bolsters. Honestly, I think this is only a major issue if you have a boy dog that likes to mark everything in sight. I can’t imagine my girl peeing on the arms of the bed. Then again, she’s peed in some weird places, so anything is possible! If you were to look at the pictures of the sizes on the Amazon listing, you’d think that a large lab could easily fit on the medium sofa. That’s not really the case. The large is more consistent with the size and weight limit of medium beds by other brands (LOAOL doesn’t give a weight limit). While the XL could theoretically fit up to a 80 pound dog (based on customer feedback), the measurements make it better for a smaller large-breed dog. None of the sizes are appropriate for the giant breeds, so this definitely would be a good dog bed for a Great Dane. Your best bed is it measure your dog when they’re lying down in their favorite position, then compare that to the sizes. For example, Freya likes to sprawl out and lay on her back, so I would measure her when she’s in that position and see if the bed could accommodate her favorite position. As much as I like the fact that the memory foam is quite solid and dense, some dogs may not be so happy with it. My Pharaoh Hound, for instance, has very little body fat, so she would need something with a little more “give” to it to cushion her joints. One other thing that I want to mention, but not so much in the pros and cons, is that I can’t find a website for the LOAOL brand. That’s not a huge deal, since a lot of brands sell direct to pet stores or retailers like Amazon, but it does make getting in touch with the manufacturer a little more challenging. I’ll be completely honest, this isn’t one of my favorite beds. That doesn’t mean I don’t like it, but it doesn’t rank on my top 10. 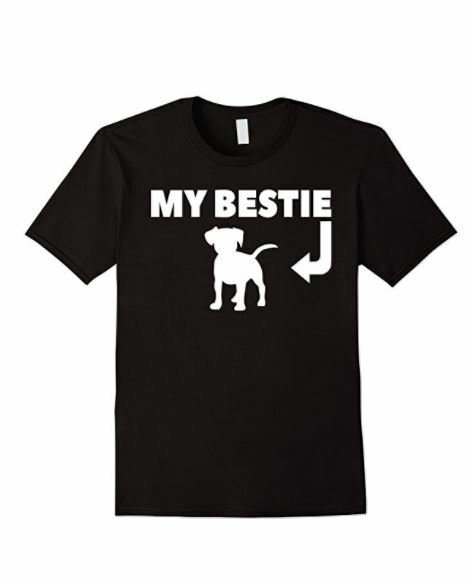 To be fair, my top ten is populated with brands that exist solely to make dog beds, like Buddyrest, Kuranda, and Big Barker . On the other hand, if you were to ask me to choose my top 10 favorite budget beds, I believe the LOAOL would make the list. 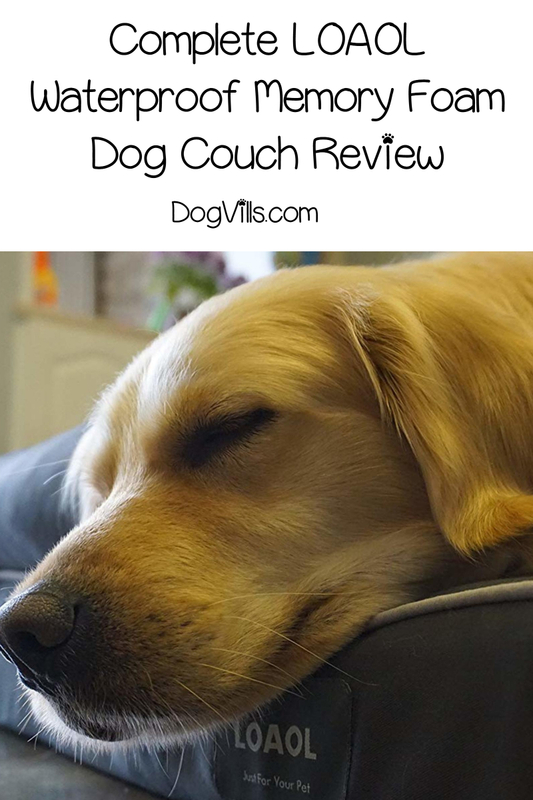 LOAOL Waterproof Memory Foam Dog Couch review, it’s a good option when you don’t have a lot to spend but still want something comfy for your dog. Do you have anything to add to this LOAOL Waterproof Memory Foam Dog Couch review? Share below!